Men’s fashion is in a state of crisis. It doesn’t matter where you look, from Paul Manafort’s $15,000 Ostrich coat, to the endless stream of bright-eyed graduates starting their careers, or the haggard, white-collar, middle class masses traipsing from airport lounge to departure gate in pleated slacks, tucked-in golf shirts, off-the-rack blazers, and overshined tasseled loafers. But nowhere is this more obvious than in the world of young finance, a culture best illuminated today by an increasing number of very popular “finance meme” accounts on Instagram — like Billy Ray Valentine, Arbitrage Andy, Lit-quiditiy, Hoe-ing For Yield, and Finance God. 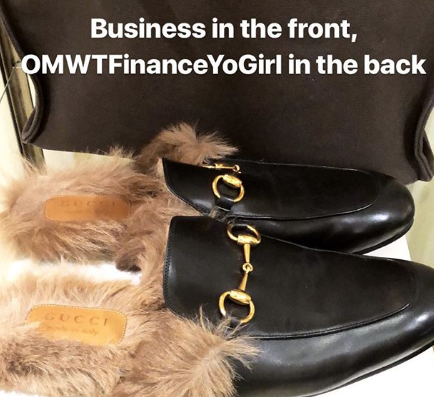 Look no further than the Manhattan finance bro and the ubiquitousness of his fashion crutch of choice — the midtown uniform: button-down Oxford shirt, chinos, sleds (Gucci loafers), and, most important, a fleece vest. I understand the appeal of the Patagucci for the finance bro set. It’s like a fraternity; they want to fit in. The fleece vest hides their gut and sweaty armpits. It’s comfortable, especially in buy side offices attempting to emulate Steve Cohen’s theory that traders perform better in cold temperatures. It’s considerably cheaper than a decent suit, and is durable for those sloppy nights out. But none of that makes it okay. Ditch the fleece vest, and opt for something more grown-up, like this Bobby Axelrod-inspired Tom Ford cashmere sweater ($999). Why people wear wool when they know cashmere exists is beyond me. Burn your khakis, and office permitting, wear jeans instead. 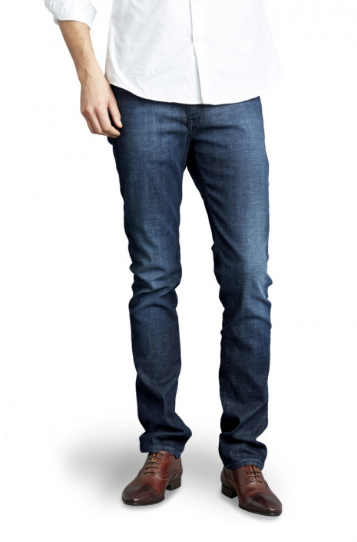 These Mott & Bow ($118) jeans are incredibly soft and uniquely comfortable. And the relatively new fashion startup has a really cool, entrepreneurial backstory. After thirty years as a family business supplying denim to the most prestigious labels, the youngest generation started an online brand from scratch — delivering the same premium quality, with a younger look, at a fair price. If you’re wearing a blazer, make sure it doesn’t look like a suit jacket. Try a one-button, peaked-lapel, which looks great in the office, or out at night. Save the country club logo golf shirts for the weekend. No one likes to see dudes with dad bods invariably miming golf swings in the office. No Vineyard Vines, unless you’re still quoting Will Ferrell movies. There is no such thing as turtleneck weather. You gotta circumcise that sweater. No wingtip, monkstrap, or square-toed shoes. Prada and Gucci; start and end there. Decent $700 shoes will last 3–4x times longer than something you pick up from Nordstrom for $300. Do the math. If you aren’t confident in your innate fashion sense, keep the shoes black when wearing a suit and a safe shade of brown with business casual. There’s no need to attempt hazel brogues with a monastral suit. In most cases, you can’t pull it off. Cedar shoe trees ($34) are an absolute must. They absorb moisture, prevent wrinkles, and materially extend the life of your shoes. In simple terms, statement socks are dumb. They do not add personality or fashion sense. They just make you look British. 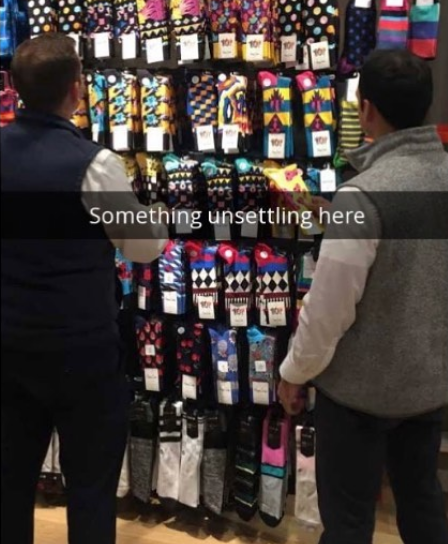 Moreover, pairing, sorting, and color-matching socks is a waste of time and energy. Don’t you (or the person who does your laundry) have better things to do? Throw all your socks away and buy ten pair of identical socks, and then replenish them every three or six months — because nothing beats the feeling of starting the day off in crisp, fresh, new socks. Socks should be an afterthought, but not neglected. That’s why I’d go with Brummell’s ($7) subscription service that delivers simple, premium socks at a 60% discount… and they accept Bitcoin. Best of all, for every pair of socks Brummell sells, they donate a pair to Camp Hope, a charity that provides (among many other things) business attire, career mentorship, networking, and financial support to veterans suffering from PTSD. Get your shirts made. The value of a custom shirt far exceeds the cost. Just make sure they are tapered appropriately. If you want to see how ridiculous ‘blousy’ looks, go back and watch some old Seinfeld reruns. Stick with a stiff spread color; it’s versatile enough to work with or without a tie, and goes with jeans or a suit. The infamous blue shirt and white collar is acceptable, as long as the shade of blue isn’t too deep and accompanied with a power tie. 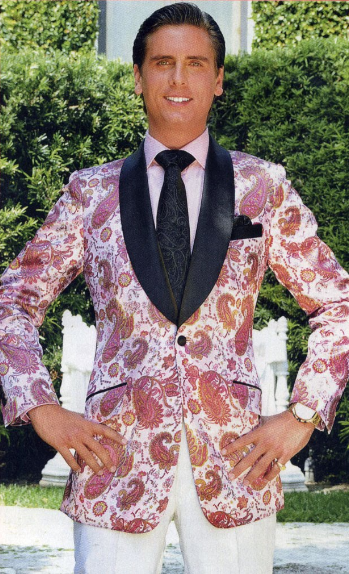 This 1980s homage works much better today in a light pink, baby blue, or lavender, and without a tie. No shirt pockets or collar buttons. 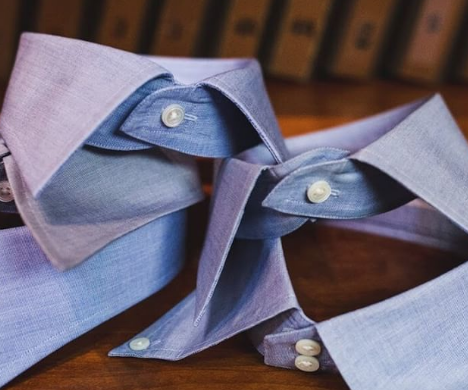 The Oxford collar is for college professors, democratic socialists, and people who still shop at Brooks Brothers. Wear an undershirt, even if you don’t sweat. Hygiene and aesthetics aside, this Mr. Davis undershirt ($25) will significantly prolong the life of your dress shirts. Have new shirts made every year and donate the old ones to one of the many charities that provide office attire to low income individuals. Buy at least three decent suits. Keep it simple; if a suit has too much flair, the only thing people will notice is how often you wear it. You can’t go wrong with two-button, notched-lapel, and single-breasted. It’s a classic look that fits nearly every body type. In terms of color, keep it to various shades of gray and navy, with a few varieties of pinstripes. That’s all you need. Brown suits are for back office guys. No cuffs and no pleats. No need to go above 160 per inch thread count. 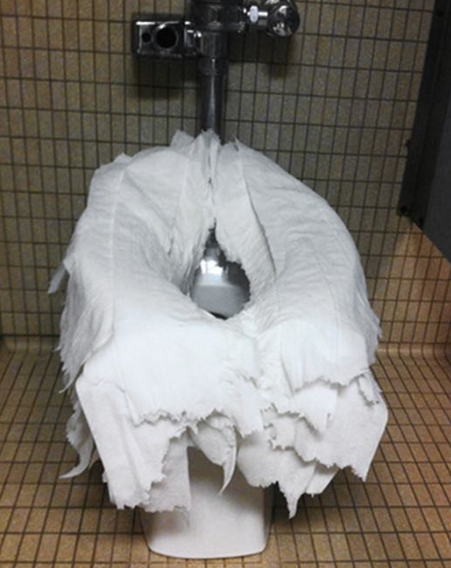 Between the abrasive chairs and the drunken nights out, they don’t last. Skip the three-button suit altogether, and absolutely no double-breasted, unless you still sleep on a waterbed. And it goes without saying; buy as many (bespoke) suits as you can reasonably afford. It’s all about the half Windsor knot, with the perfectly symmetrical triangle. 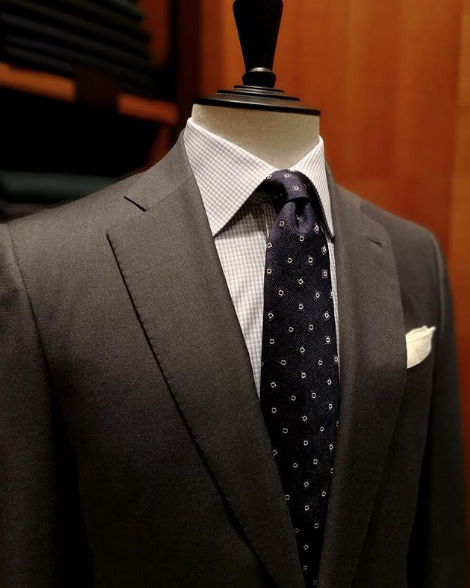 A full Windsor also works, depending on the thickness of the tie and the spread of the collar. A bad tie knot is like a weak handshake; it shows that you don’t come from good stock. 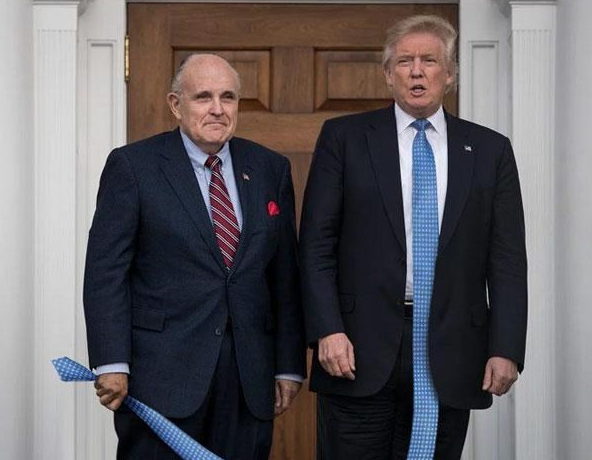 With all due respect to our POTUS, the correct length of the tie is to the middle of the belt buckle. Don’t wear a tie every day unless you have to, but always keep a spare tie in your desk drawer. 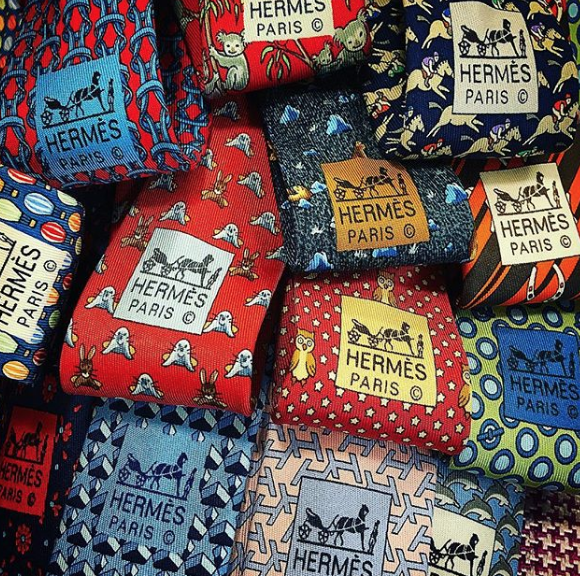 Sorry banking analysts; no Hermès. You have to earn it. Start with this understated Zegna ($118) tie. Everyone has a favorite tie, but don’t wear it every week. Expensive sunglasses let women know you appreciate nice things and are responsible enough not to lose them. Be original. 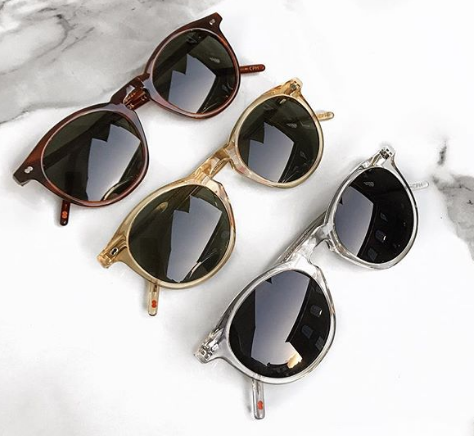 I recently discovered Christopher Cloos ($160) — a Scandinavian eyewear company — with its classic and timeless design, understated aesthetic (no gaudy logo), and the same top-quality craftsmanship as famous brands for half the price. Backpacks might be “suddenly cool for grown men” but not with a suit. Grow up, and get an adult bag like this. 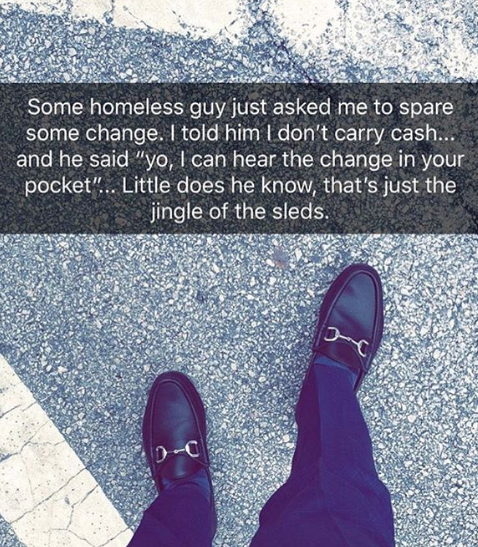 While you’re at it, ditch the canvas banker bag. 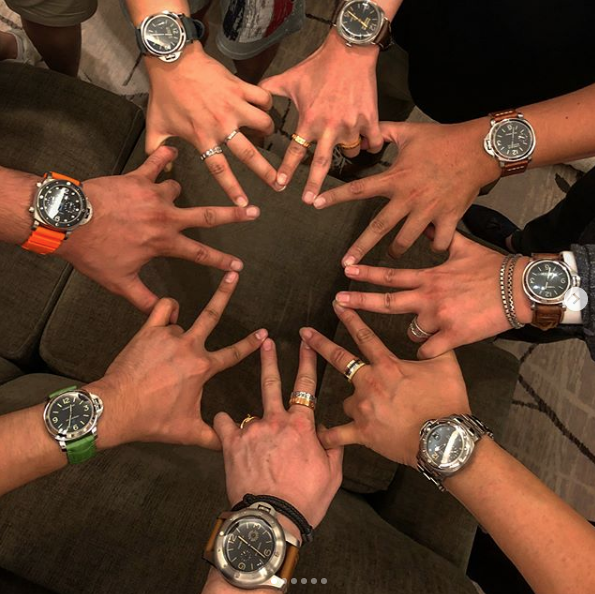 When it comes to watches, they serve a purpose — presenting yourself as “high-status” is proven to make you appear more attractive to women. Here’s everything you need to know about the hierarchy of watches. Although the Submariner is the official starter watch for young bankers, wearing a Rolex is like driving an Audi. It means you have a little bit of money, but not much to say. But don’t forget — not wearing a watch is the new Patek. The era of baggy or mesh shorts is over. 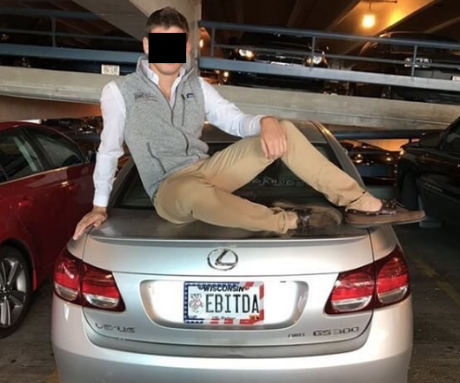 Get rid of the Ivy League apparel; no one cares. When it comes to name brands, Nike is boring and Under Armour is for guys who think Chateaubriand is on a wine list. Replace all your gym shorts with Birddogs ($55). I first recommended them — a company started by an HBS grad and former banker who poached the head of men’s design from Lululemon — in a Business Insider article I wrote in 2015, when they had just hit $300,000 in sales. This year, they trolled the Shark Tank and will surpass $16 million in revenue. Birddogs are the best shorts on the planet — perfect for the gym, playing tennis, or Sunday brunch. While you’re at it, spend less time on a treadmill and more time playing a competitive sport. No flip flops unless you’re within walking distance of a beach. The same WASPs who spend ten minutes building a nest in the office bathroom stall are the guys drunkenly flopping around the disgusting, unsanity streets of Murray Hill. There is no such thing as a “going out” shirt, especially on a first date. If you insist on wearing cologne, no one should smell you from five feet away or five minutes after you’ve left the room. Get your haircut every 4–5 weeks. And if you’ve got problems up top, shave it or transplant it. Always keep decent facial moisturizer ($22) in your desk or gym bag. Loud or pretentiously-origami’d pocket squares are for washed up, bucket shop bankers and CNBC pundits. Don’t wear a bow tie unless it’s a black tie function. If Tucker Carlson can hang his up, you can too. Again, this advice is all about risk reward. Because the vast majority of men are fashion illiterates, the smartest thing they can do is keep it simple and stay in a safe zone. So, these tips won’t get you noticed at Soho House; but on Wall Street and in business world, you can’t go wrong with this advice, which is more important. John LeFevre is the creator of @GSElevator on Twitter, soon a podcast host, and the author of the New York Times bestselling book, Straight To Hell: True Tales of Deviance, Debauchery, And Billion-Dollar Deals, currently in development as a major motion picture. Required Disclaimer: This article contains Amazon affiliate links. Any click may result in me receiving a commission.